As a fashion diva Audrey Hepburn even today is still an inspiration icon. There is no woman on the earth that doesn’t see the famous legendary film ‘Breakfast at Tiffany’s’. I want to make a post about someone who has inspired the fashion world, and someone who I truly adore. So my inspiration today is exactly that Audrey Hepburn Dress Style. I made some search and here am I, sharing with you, not just her dress, but more talk about her style. Who can forget the iconic Breakfast At Tiffany’s dress that has defined the term perfect “little black dress.” I think this is the most famous dress from legendary film. The black Givenchy dress is know as one of the most iconic items of clothing in the 20th century. Another interesting black dresses from this fashion diva. In my opinion they are still modern and fashionable.Look adorable and elegant at same time. If you are asking yourself how can you take this look ion todays style, than you’re on the right place. Here is two different items from present fashion style, but the effect is definitely reminds on this fashion diva. 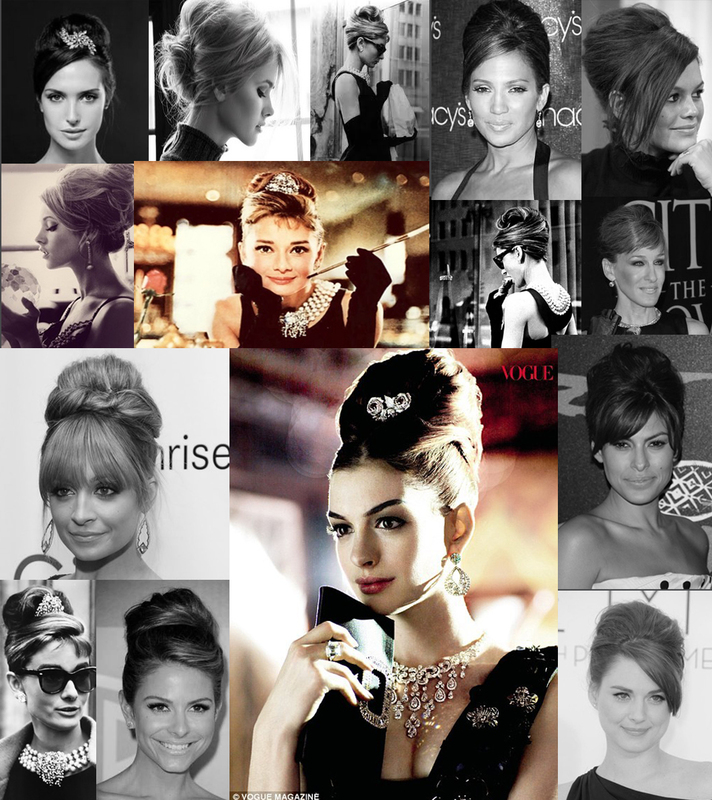 And here is some examples how other famous actress still copy her hair style. Maybe it is old fashion, but still they are looking fancy and modern. I didn’t expect to get this kind of useful and interesting content, so thanks indeed.